Divi theme provides an easy and better way to upload the video in our pages and posts. 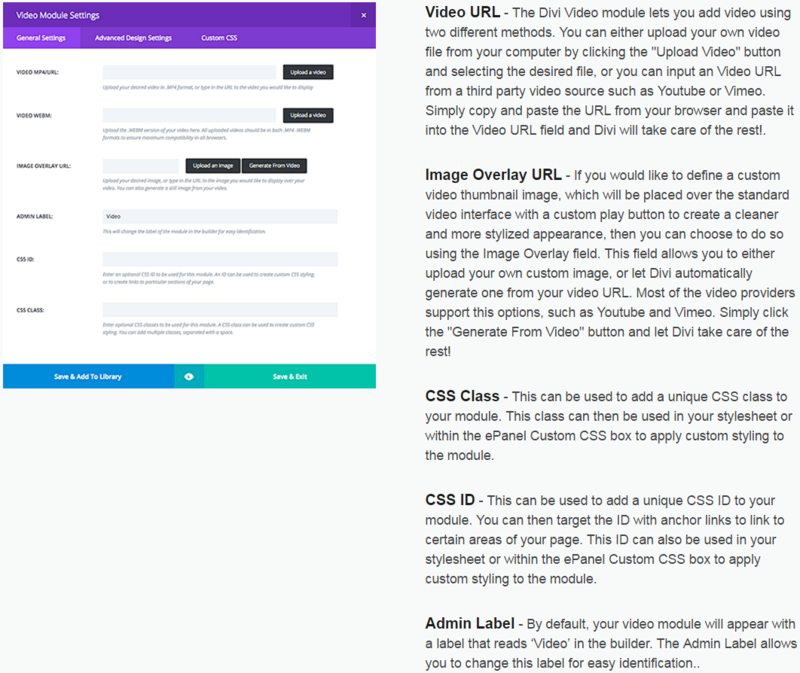 We can add the video on our page by simply using the Divi video module. We can add or upload the self- produce videos in the form of WEBM, MP4 file format by using the Video Module settings or we can also add the video link to upload the video on our pages and posts. General settings are the first category of video module in which we can upload the video or insert the video URL in the pages or posts. In the general setting tab, we can do all of the general settings that are required to upload the video in the website’s pages and posts. 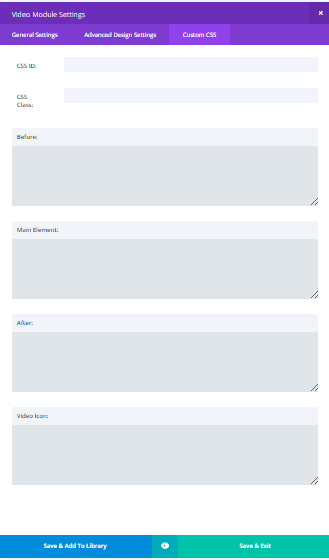 In the “Advance Design Settings” tab of this module, we can add all of the possible designs settings that we want to add our uploaded video. Advance Design Setting is the next right category of the general setting tab in which we can add extra designing features in on the uploaded video. 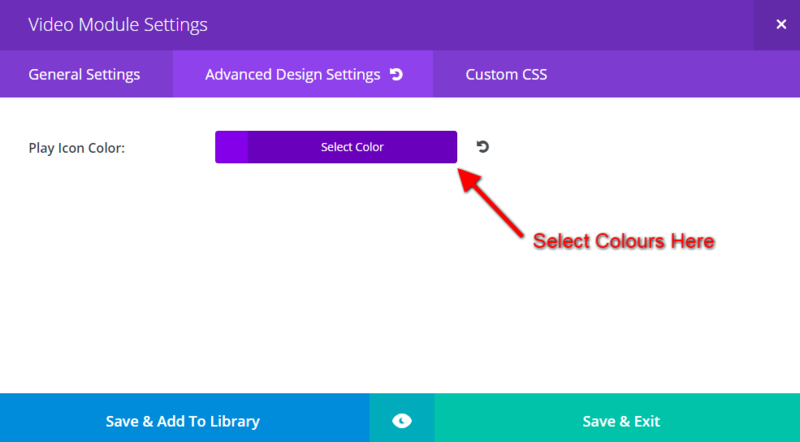 Custom CSS is the next right category of the Advance Desing Settings category in which we can upload own design code of the video in our pages and posts of the WordPress site. Video module provides the capability to add the video code designed by the developer in the Custom CSS. Please post us back for any query or suggestion, we will soon get back to you. Have a Nice Day!